JIMS CULTURAL CLUB witnessed an environment full of palpable excitement and zeal; students portrayed their creative instincts, vigor and the best of their talents. FRESHER’S PARTY, the event was organized to welcome the new batch of future managers at the campus. Dignitary Dr J.K Goyal, Director, Dr. Sumesh Raizada, Dean-PGDM, Dr. Ashok Bhagat, Dean- International Business welcomed all for an evening full of exuberance and zeal which turned out to be the best way for the two batches to interact. Mr. and Ms. 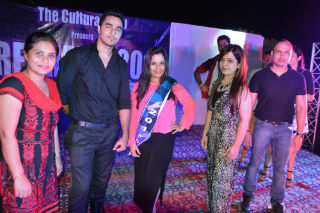 Fresher contest which included Fashion Show, Talent Hunt was organized. The students were divided into two groups; each containing 8 students, where 5 were shortlisted on the basis of their Walk, Style, Attitude etc There after second round to showcase their individual talent was conducted, talent showcased were - Dance, Singing, Poem and Body building etc. Our judges for the evening were Mr. Nitish Gulia (Ex Mr. Freshers 2013 JIMS) , Dr. Ritu Bajaj (Professor, JIMS). The event was well conceptualized by the faculty in-charge of The Cultural Club :Ms. Parul Raj and Dr. Bhupender Som and received great appreciation from the students and faculty. It was surely a great welcome for the new entrants by their seniors becoming a member of JIMS family.